This is available As of SAP Enhancement Package 7, Support Package 4 for SAP ERP 6.0. 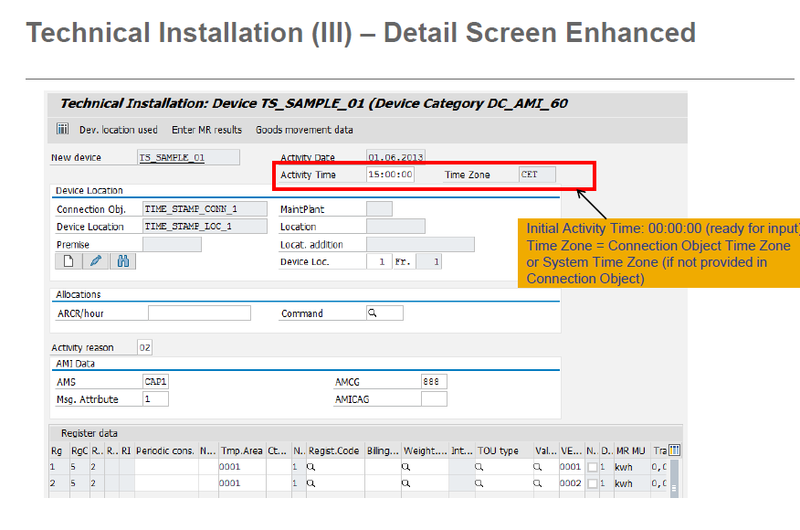 SAP ISU always uses the Date for device install and removal. If you remove the device today then it always use -1 to the date (you have an option to change them for the interval meter to use the same date – configuration). So installation time is 00:00 and the removal time is 23:59. With the new AMI integration other system needs the exact time. Even though you have the time still billing runs on daily basis. So this is for information only for you and for other MDUS systems. You need to activate the business process ISU_AMI_4C (swithc ISU_AMI_4_DTI). Time zone is inherited from the Connection Object or from the system Default. 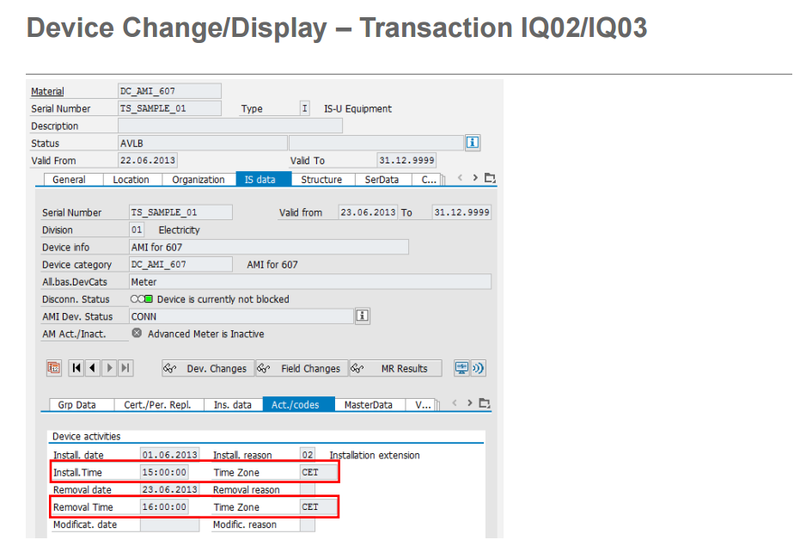 See SAP Notes: 1973413 – IS-U: Interface note – timestamp for More detail. Couple of SAP Screen Shots. Hope helps. Check out the Notes It should take you to the right direction.